We, the plebs, demand bread and circuses, or we’ll burn the city to the ground! Well, actually not bread as it has way too many carbs. 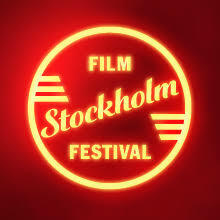 This year’s Stockholm film festival (Nov 7 – 18) should be free! (tickets to Dave Chappelle & Jon Stewart would have been acceptable too). By Jupiter, can someone explain to this wage-slave why the senate sponsors the opera and every, unemployable, crackpot “artist” out here. The sesterce given to film production might as well have been thrown into the Tiber, as, post Bergman, it has been proven over and over that Swedes cannot make good films. Retrain whole industry (Tv too) to be bestiarii, and have them fight wild beast at the Stadion arena. So at least once in their lives they’ll be able to provide acceptable entertainment. Furthermore, I consider that Trump (and SD) must be destroyed. /Gordon the elder.